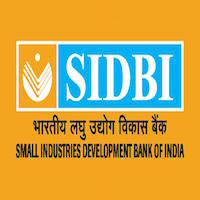 Online Application Details for Small Industries Development Bank of India SIDBI Recruitment of 1 Lead Technical Expert and 1 Senior Technical Expert is given below. Application form and duly attested documents are to be sent to The Deputy General Manager, ENERGY EFFICIENCY CENTRE (EEC), Small Industries Development Bank of India (SIDBI), Ground Floor, Videocon Tower, E-1, Rani Jhansi Road, Jhandewalan Extension, New Delhi – 110055. In envelope super scribed with 'Application for the Post of Post Name'.